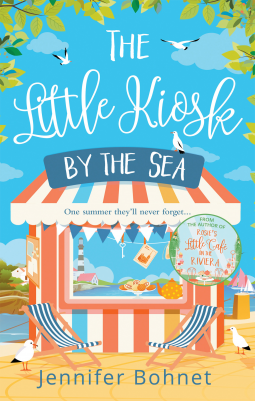 One summer they’ll never forget… Meet Sabine, desperately fighting to save her little kiosk from closure whilst turning down her friend Owen’s proposals, time and time again. Cue Harriet, returning to Dartmouth after thirty years, haunted by the scandal that drove her away and shocked by a legacy that threatens her relationship with her journalist daughter. Enter Rachel, the mysterious newcomer who has an unexpected chemistry with a local widower, and who sets in motion a chain of events she could never have predicted… One thing’s for sure, as the autumn tide turns, there’ll be more than one secret laid bare! Oh look, another beach side book. This is another that has sat on my tbr shelf since last year and why on earth did i wait so long? Step into Dartmouth, and everyone is familiar with the little kisok by the sea - run by the lovely Sabine but this year it's different, the council want to close it down. Not only that, Sabine has the constant question of marriage hanging over her from her close friend Owen. Next up is Harriet, she has to return to her home after thirty years away after a major scandal hit. Things are not as simple as they seem and the news could shake everything her whole family held dear. Especially as the news centres around her daughter. Finally there is also Rachel - an incomer who has pretty much kept herself to herself, but as relationships bloom - is she really all she seems? Ones thing for sure, not everything is as clear cut as we often presume. The Little Kisok By The Sea is a wonderful read, there is plenty of characters to learn all about - they all have their own stories, pasts and quirks and it makes for a delightful read getting to know them, i sometimes struggle when their is alot of characters but these ones were so likeable it made it so much easier to handle. The coming together of all the characters makes for the main focus of the narrative but, we spend alot of time learning about each of them over the summer season, and as the season draws to a close - can things be fixed? I loved this book not only because its my favourite type of read but because i really felt like i connected with every single character i met, and wanted to spend time with them, there is a real sense of community and it really does warm your heart to read. Sixteen years ago Richard and I, with our then dog, 14 year old Holly in a trailer attached to Richard's bike, cycled down through western France via the canal paths, arriving in Antibes in July. With the exception of two fleeting visits back to the UK we have lived in France ever since. For the past five years we have lived in a small cottage in central Brittany with one large collie dog called Viking, one fat cat known as Little’un and a young tortoiseshell cat called Missy. Oh, and there are various ducks and chickens in the garden, and a large pond with about a hundred fish in! I have contributed short stories and serials to many of the UK women's magazines including, The People's Friend, Candis, My Weekly, Best, Yours and my stories have been published in Australia, Sweden, South Africa and Ireland. I also write magazine features and my work has been published in national magazines and newspapers like, The Sunday Times, The Sunday Telegraph, Daily Mail, Daily Telegraph, Home and Country, Devon Life. For over three years I had my own newspaper column in the South Hams Group of Newspapers, that took a wry look at family life. 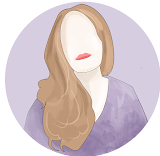 I am a member of the Romantic Novelists' Association and the Society of Authors.